Happy Happy Monday ya’ll! Did you miss me last week?? I know I was M.I.A. but I am back this week and have a whole new meal plan ready for you. I am no longer attending evening workshop classes, and am back to a normal part-time work schedule. This means I can actually cook dinner a few nights during the week, instead of getting home after 7pm (sometimes later) each night, leaving the cooking up to my hubby. Are you guys using your meal planning binder?? Without mine, I would be lost and there’s no way I could stick to a weekly meal plan. Grab yours FREE by subscribing below. 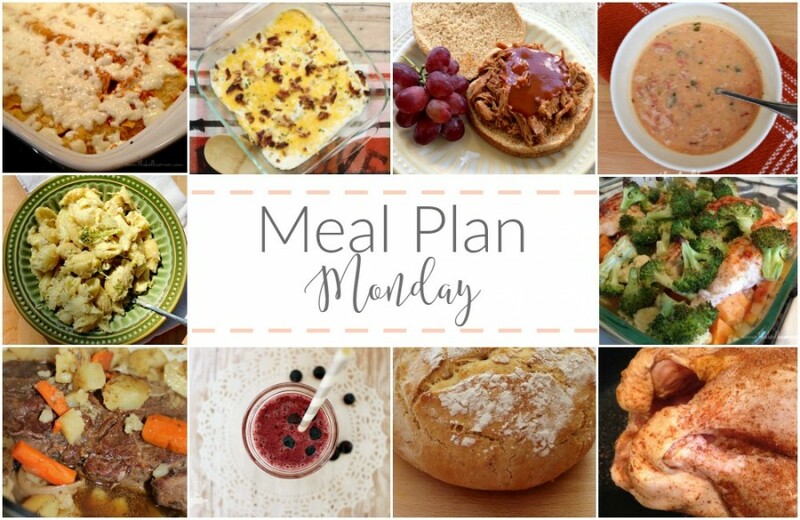 What’s on your meal plan this week? ?